These are the perfect little bites you need in your life right now. 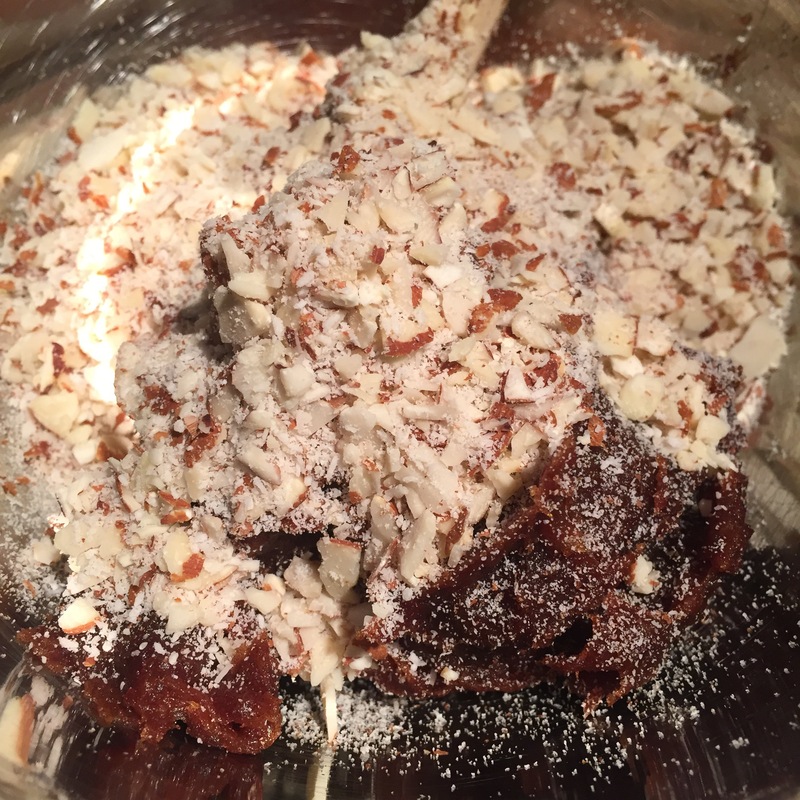 With Ramadan around the corner i’m always inspired by certain ingredients associated with this month, and dates are the first thing that come to mind. Traditionally, you open your fast with a date or two, a sip of water, then you dive into all the good stuff like samosas, fruit chaat, papri chaat and chicken patties. A lot of people seed and stuff their dates with almonds and cream. 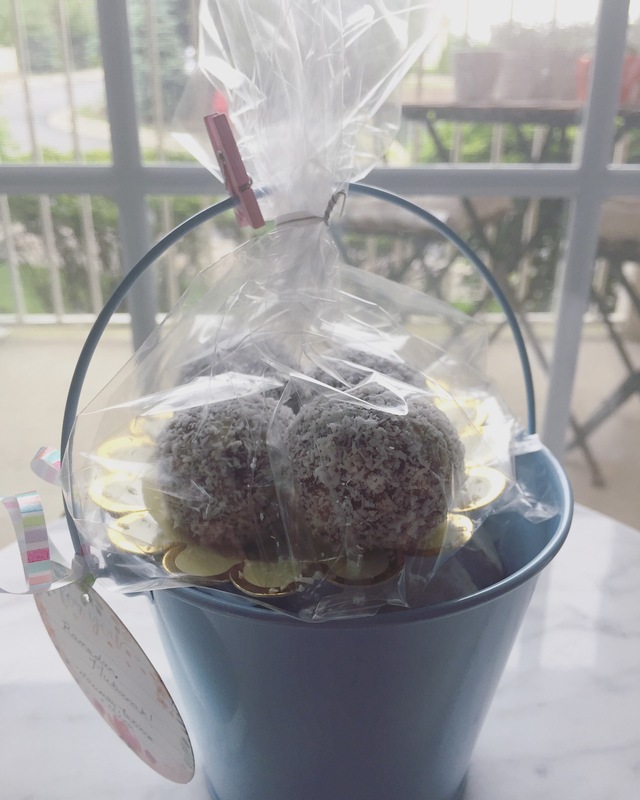 But if you take a couple of more steps, you can come up with something so simple yet so decadent, like these Date Truffles. I was very excited when I saw a pack of date paste at my local halal grocery store. That takes out the whole boiling and blending part of the dates that made me think twice before making these. Now all I do is pop open a pack and do some minor mixing and rolling and I have a beautiful tray of Date Truffles. Here’s what you need, and please keep in mind you can add any ingredients you want. I’lll list a few at the end of this post for ideas! In a chopper or blender chop the nuts until they look like coarse crumbs. 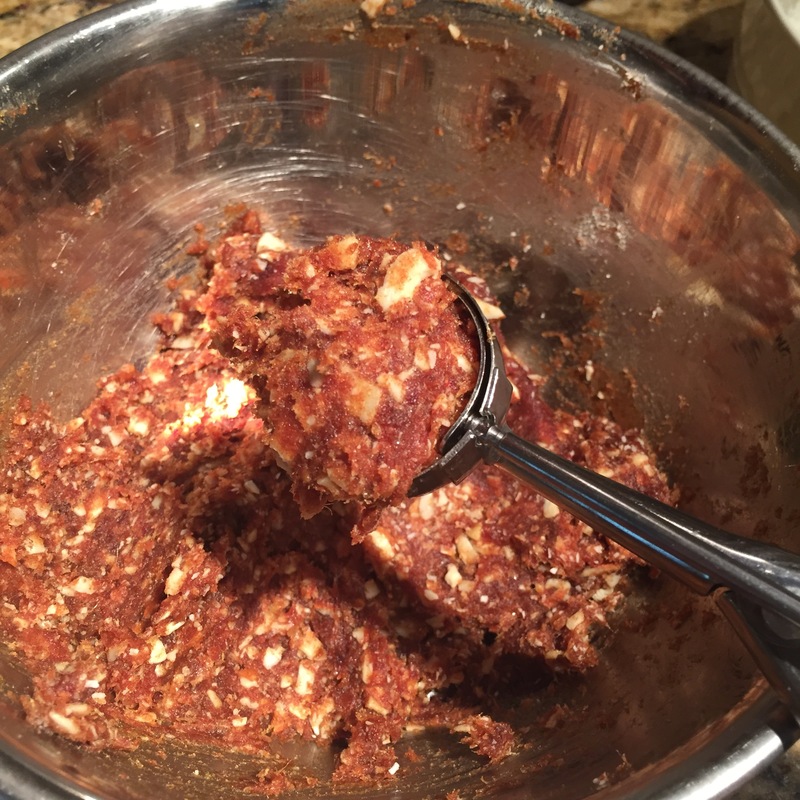 Add them to the date paste and shredded coconut mix until the mixture is well combined. I would suggest using a spatula or to save some time go in with your hands. It’s a little messy but much quicker. 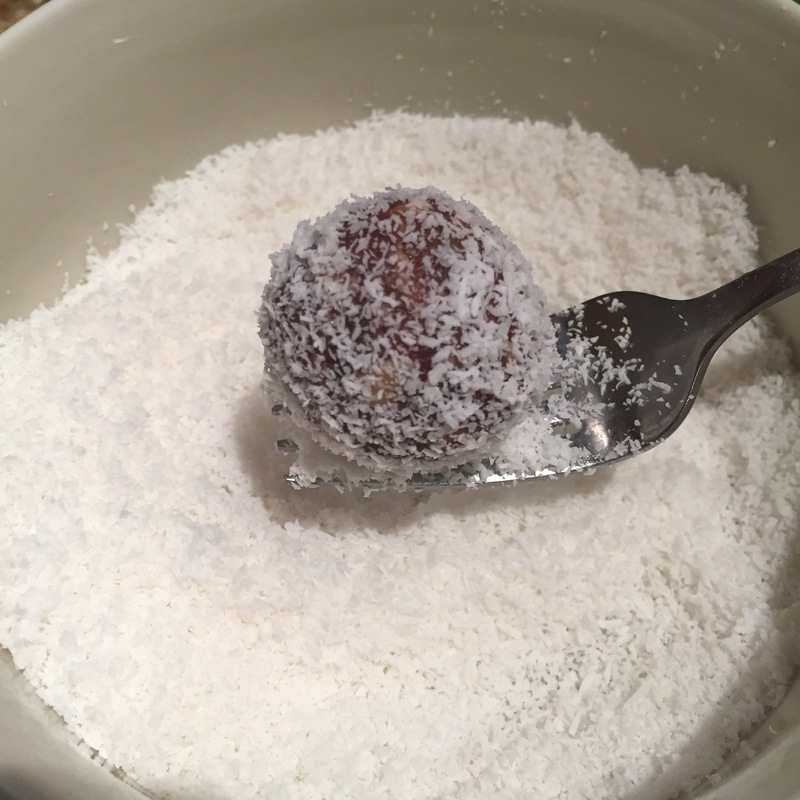 Then take a rounded Tablespoon measure or a mini cookie scoop and dip it in water before scooping out the mixture and rolling it into a ball. 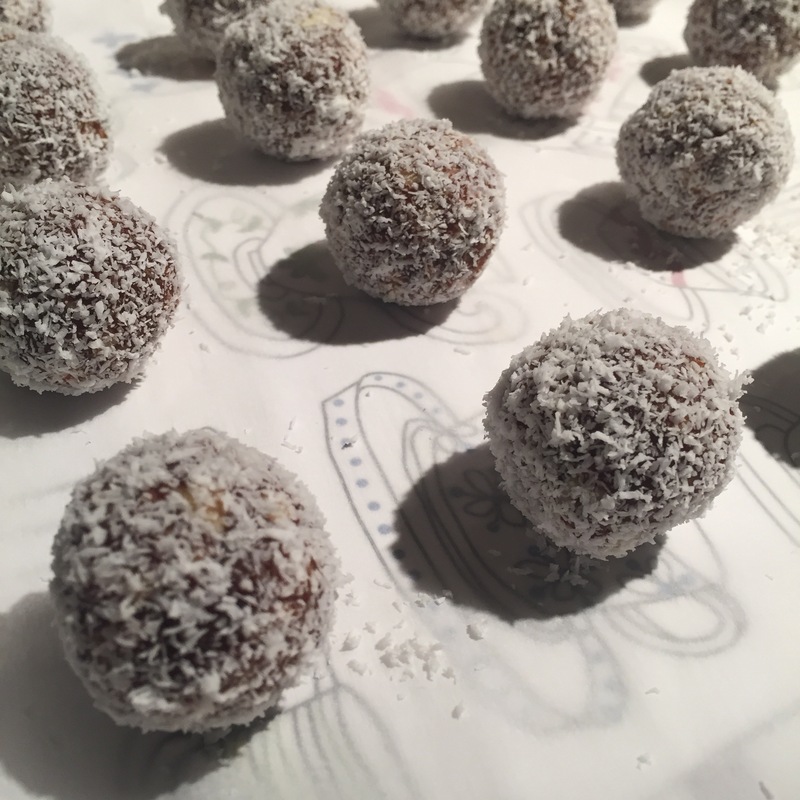 Then roll the truffle around in some shredded coconut until it is completely coated and set aside on a lined tray. Make sure you dip the spoon in water between each scoop or the paste will just stick to the spoon and make a mess. You can even refrigerate the mix for a few minutes before using to make things easier. That’s it! Just a few simple steps and you have such a special treat that can be used to open your fast, during Sehri to give you energy throughout the day, or let’s face it, it’d be great though out the year as a snack or energy boost too! Keep these refrigerated to keep them fresh longer! You can add raisins, different nuts, chocolate chips, oatmeal, dried fruits, cereals and so much more to this recipe!